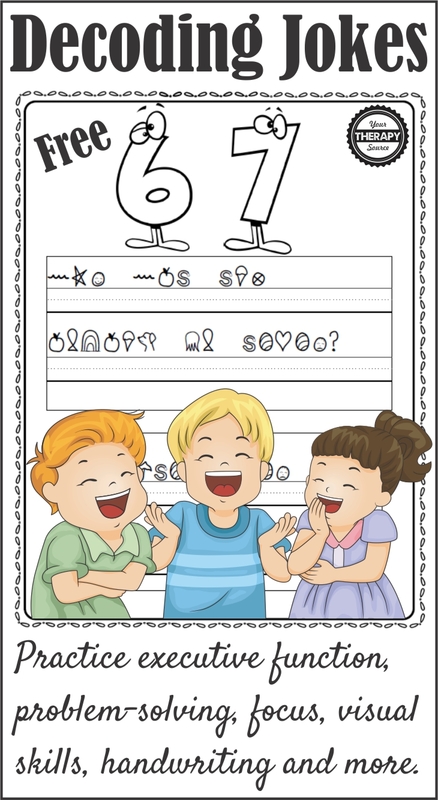 Here are some FUN free decoding jokes to add laughter to your handwriting practice! 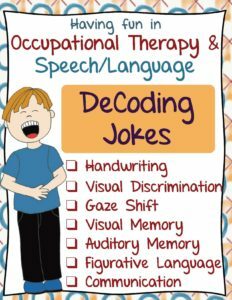 This activity was created by Thia Triggs, school based Occupational Therapist, and is part of the complete Decoding Jokes packet here. 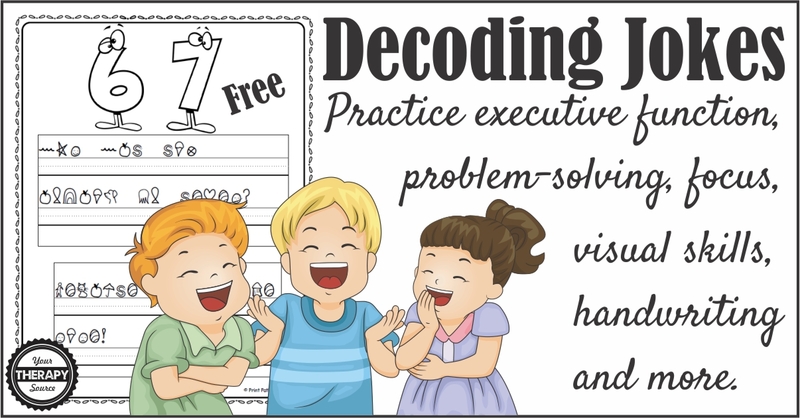 Executive function and problem-solving skills. Visual perceptual skills including visual discrimination, and visual memory. Gaze shift -needed for reading, copying from the board, and getting information from the environment. Auditory skills of listening and memory. Group skills: cooperation, communication, and visual perceptual skills. Check out the complete Decoding Jokes packet.